Snuggle up with your little one for some great reading! 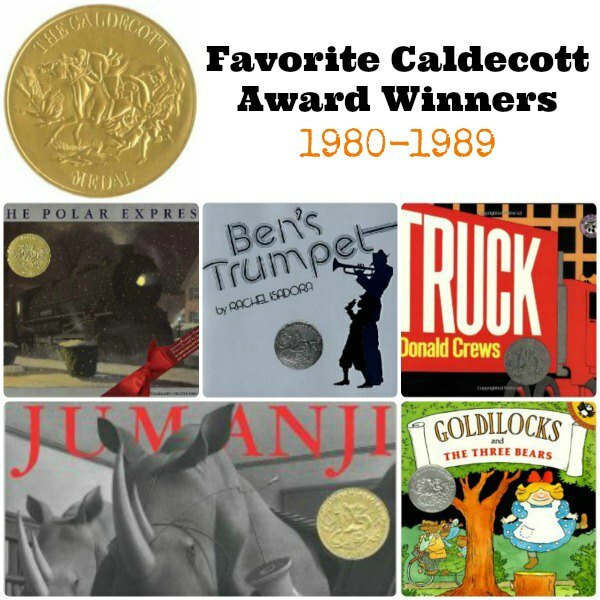 I’m offering you a listing of The Caldecott Medal Winners and Honor Recipients through the 80s (big hair and neon workout clothes aside). You can find these favorite Caldecott Award winners at your local library or purchase through the affiliate links provided for your convenience. 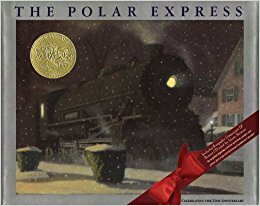 The Polar Express: You’ve probably heard of the movie, but did you know it’s a beloved children’s book as well? The Polar Express is a perennial favorite with my kids, because let’s face it, Santa is always in style! Plus, my boys love listening to the wonderful audio CD read by Liam Neeson. Description: a young boy lying awake on Christmas Eve only to have Santa Claus sweep by and take him on a trip with other children to the North Pole. 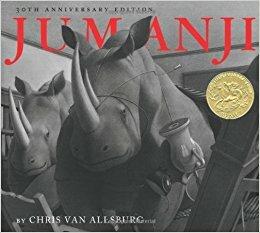 Jumanji: Here’s another book that’s been turned into a movie. We have yet to see the movie but the book is amazing. Throw in Robin Williams who also is on the narrator on this quality audio CD and we find ourselves reading this book at home as well as in the car. Description: Peter and Judy first found the game—Jumanji—with the instructions that once the game is started, it must be finished or it will go on forever—and thirty years ago, with this same wonderment, readers found Jumanji, too. Truck: We read this board book until it literally fell apart. A book with no words, this toddler book was a terrific way for my kids to practice their vocabulary and description skills. All they cared about was they were in love with all of the trucks. 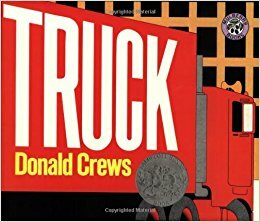 Description: In this wordless picture book, a large, bright red trailer truck packed with tricycles moves through pages of fog, truck stops, and crowded highways. 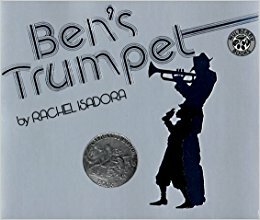 Ben’s Trumpet: We originally found this book because I was trying to find a way to introduce my kids to jazz. Instead I discovered a family favorite! The story is wonderful but don’t pass up on the audio CD, which plays jazz throughout the story. 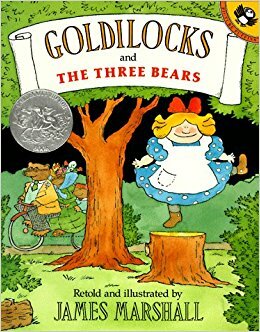 Goldilocks and The Three Bears: The colorful illustrations really made this book a favorite version of Goldilocks for my boys. Description: Goldilocks is one of those naughty little girls who does exactly as she pleases, even if that means sampling the three bears’ porridge, breaking Baby Bear’s chair, and sleeping in his bed. James Marshall’s offbeat and inventive telling of this familiar tale will enchant readers, young and old.